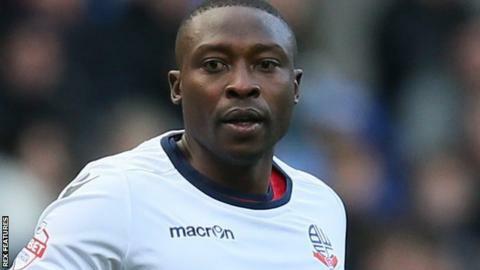 Striker Shola Ameobi will leave Championship strugglers Bolton because the club cannot offer him a new deal in their current financial situation. The 34-year-old joined on a short-term deal in October and scored once, on his debut against Leeds, in eight outings. Former Newcastle man Ameobi spent time at Turkish side Gaziantep BB and Crystal Palace before he joined Bolton. The Championship's bottom side are £172.9m in debt and avoided an immediate winding-up order on Monday. The High Court has given the club extra time to either close a deal with a potential buyer or raise sufficient short-term funds from asset sales, and their case has been adjourned until 22 February.